I am extremely fortunate to have come from a very supportive and creative family, growing up in Spearwood with my parents and younger brother. After completing school, I went on to Study Visual Arts at Tafe, and then Fine Arts and Teaching at University, and am now a High School sculpture, art and ceramics teacher at the Perth Waldorf School, as well as an artist, running my business Rediscover Ceramics. Some of you may know about my ceramic beginnings, so I have just added a little recap for those interested in hearing how it all started. I have always been a very creative individual. I actually came across ceramics and pottery in University as the painting classes I was doing up to that point were full, so i decided to try something different. I was instantly hooked! I changed my major to ceramics and haven't looked back. Over the years I haven't really had a proper studio space I could call my own. l started off at my family home, sharing a space with my father - from Pulse Art Studio. Once moving out, it was then the carport (and dining room table) where I set up, not that that was very practical at all! 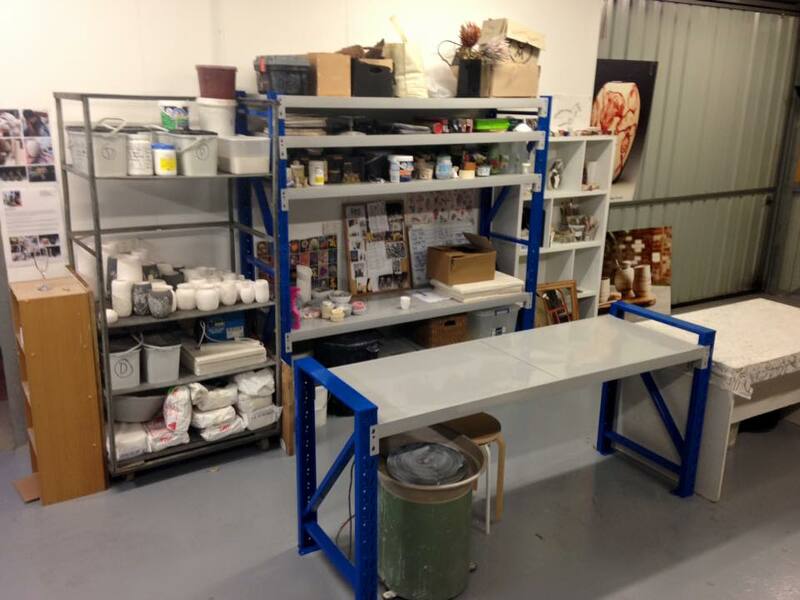 I started teaching pottery classes at Canning Arts Centre, and there I was able to use the space to some extent, moving work back and forth to be fired for 6 years. In 2014 a new opportunity presented itself and I found myself at The Clay House for an amazing 19 months, first in North Fremantle, and then a move to Mosman Park. Here I worked as the programs coordinator, teacher, as well as a resident artist alongside Ceramic Artist Beste Ogan and the Founder of the Clay house and Soda Studios, Fleur Schell, an incredibly talented and renound artist. It was an incredible time, jam packed with events, workshops, exhibitions, teaching PD's, holiday programs, weekend courses, incursions for other schools and meeting the most amazing people. I have now set up my studio at our home in Wattle grove, where myself and my partner moved over Christmas 2015. It is a wonderful location in the Perth Hills, right near Lesmurdie falls, and beautiful surrounding bush land. I am also in the process of setting up a small gallery display space which I am hoping to have open very soon. 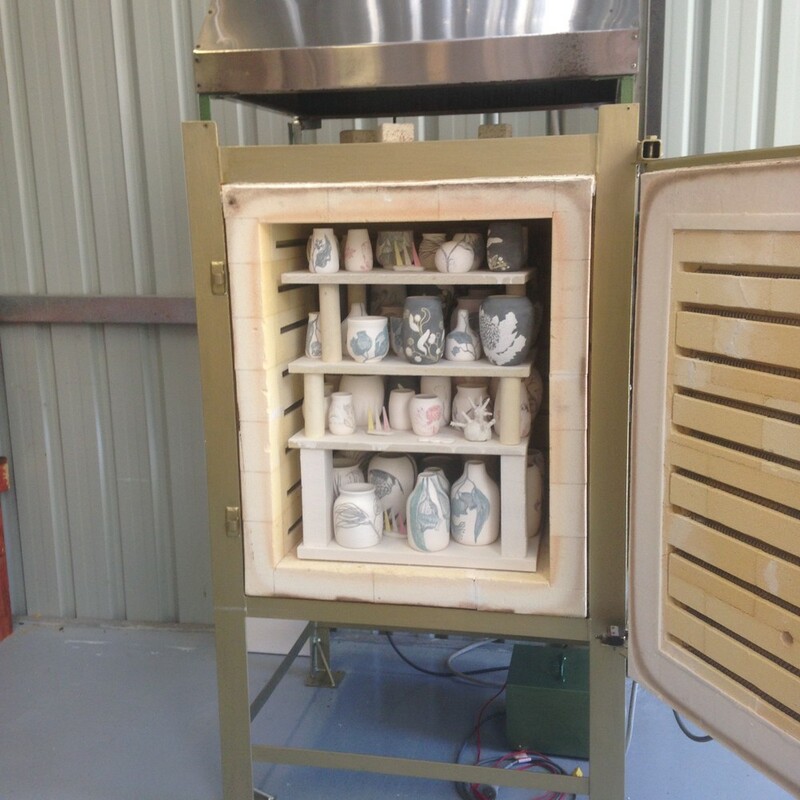 At the end of 2015 I partook in a crowdfunding campaign pozible project, where with the public's amazing support I raised funds to purchase my very first secondhand kiln which I have now done up and fired up! I am extremely grateful for everyone's support, as without it I wouldn't be where I am today. Thank you! Life is whirlwind and full of adventurous journey and so many things to discover and learn. Stay tuned for more information and come and visit my new space once it's all up and running. please make a booking by contacting me. Otherwise check out my Native Botanical Collection at The Studio Gallery & Bistro, Yallingup and for those in Perth check out my beautiful display at Aspects of Kings Park and Fremantle Arts Centre. Check out my stockists for more locations.